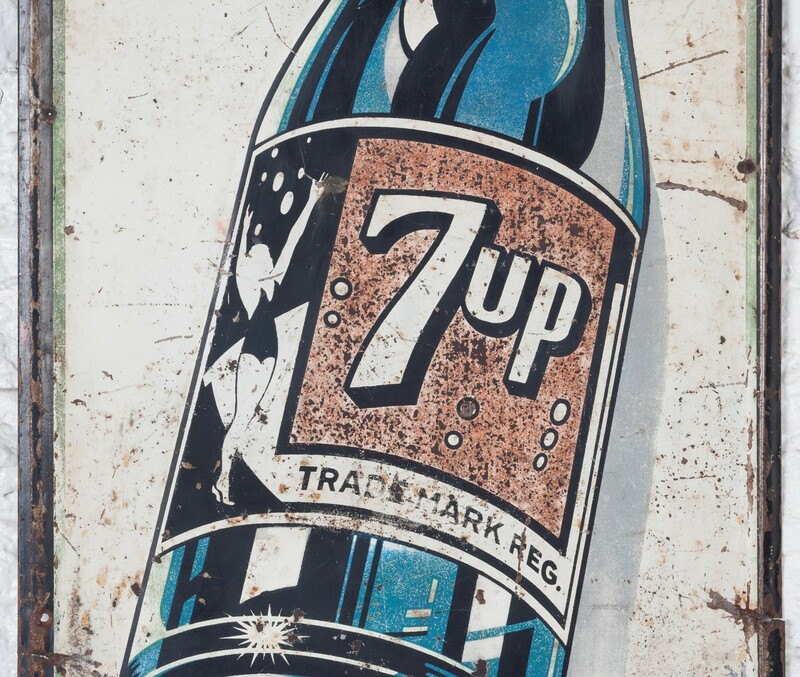 This 7-Up soft drinks/soda tin sign is a lovely piece of mid-century American advertising that's aged beautifully. 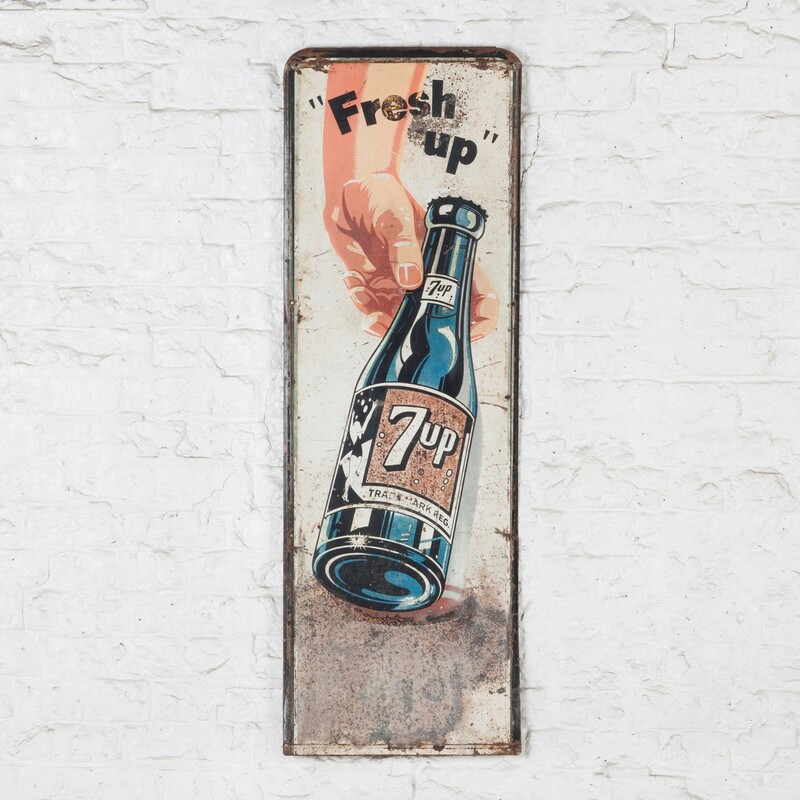 From the late 19th century, through the first half of the 20th century enamel was the go-to medium for advertising signage; it allowed for bright colours and crisp, consistent detail and was also easy to clean and long lasting. 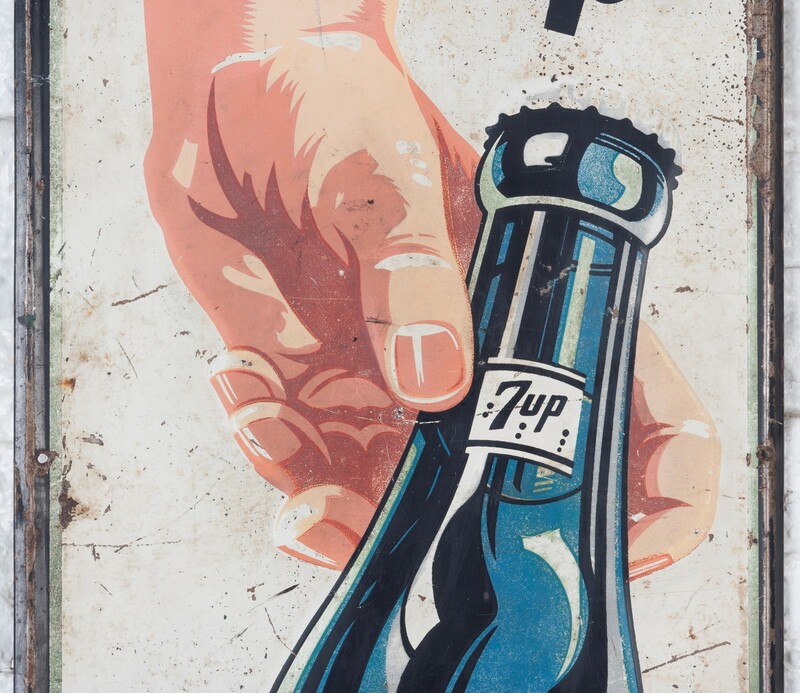 However by the 1950s enamel was starting to loose favour to cheaper paint-on-metal methods with the image being screen-printed onto sheet metal. As well as being cheaper to produce, this method also allowed for a much wider colour pallet and a greater level of detail, but the painted surface didn't offer the same level of protection as an enamelled one meaning that many examples from England/Northern Europe didn't survive. 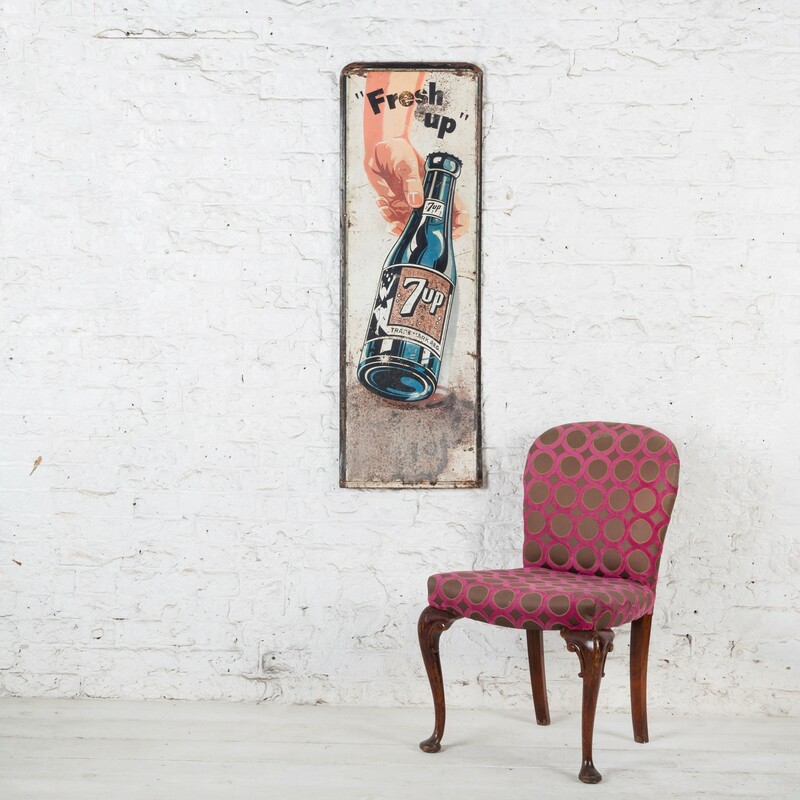 This piece however is likely to have come from a warmer, drier American climate meaning that the fantastic detailing on the bottle, it's label and the hand holding it have survived beautifully. The outer edges and lower third of the sign have aged nicely giving this piece the sort of vintage aesthetic that just can't be replicated. There may have been some more text in the lower third that's now lost, but the sign displays wonderfully as is and can be hung using it's original mounting holes. In total the sign is 128cm high by 43cm wide and with a slight embossing around the outer edge is around 1.5cm deep.